What is a Hearing Aid Fitting? A hearing aid fitting is a special type of medical appointment in which an audiologist will provide you with the device you selected. During this appointment, many things will occur. First, the hearing aids will actually be given to you. You will then try on the hearing aids to make sure that they fit properly in your ear. In most cases, the hearing aids will fit correctly. This is because your ears will have been measured beforehand by an audiologist. However, this is not always the case. If the hearing aids do not fit correctly, then they will be sent back, and new ones will be ordered for you. After your hearing aids have been tested for fitting, your audiologist will program them for you. Then he or she will turn them on and tell you to put them in your ears. This moment may be quite emotional, as it may be the first time that you have heard sound well in a long time. The audiologist will then work with you to make sure that the settings on your hearing aids are adjusted correctly to optimize your hearing. At the end of the hearing aid fitting appointment, your health professional will give you instructions on how to use them. He or she will also answer any questions that you may have about your using hearing aids, or maintaining them over time. 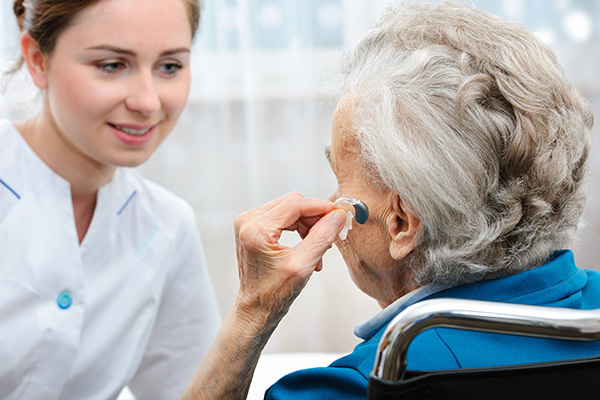 Audiologists are one of the best professionals it is best to see for a hearing aid fitting. In general, you will have to meet with them at least once or twice beforehand to get your hearing tested, and so that they can measure your ears and select the hearing aid that they believe will be best for your hearing condition and your price range. After your hearing aid fitting appointment is booked, then you just simply have to show up and go through it with your audiologist. It is that simple!